In 1933, Oscar Coldwell formed a partnership with the American James H. Clark to start a company on Cozumel with an eye towards collecting sponges for export. 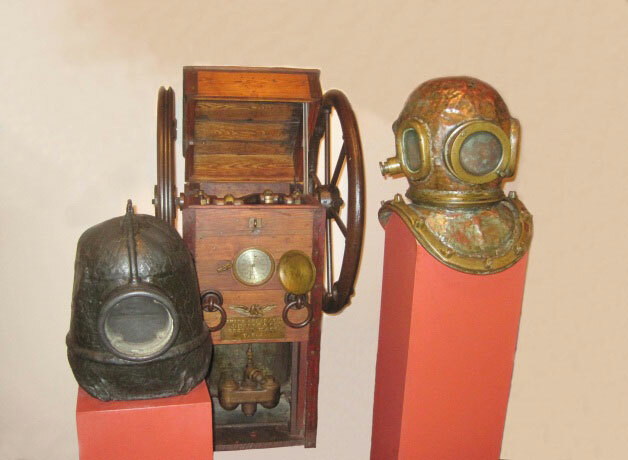 Both the divers and their “hard hat” diving equipment had to be brought in to the island, since it had never been practiced here before. The company tried to gather sponges in the waters near Isla Mujeres and Chinchorro Bank as well as Cozumel, but the business soon failed. A Greek company, however, was able to make a go of it in Isla Mujeres a few years later.